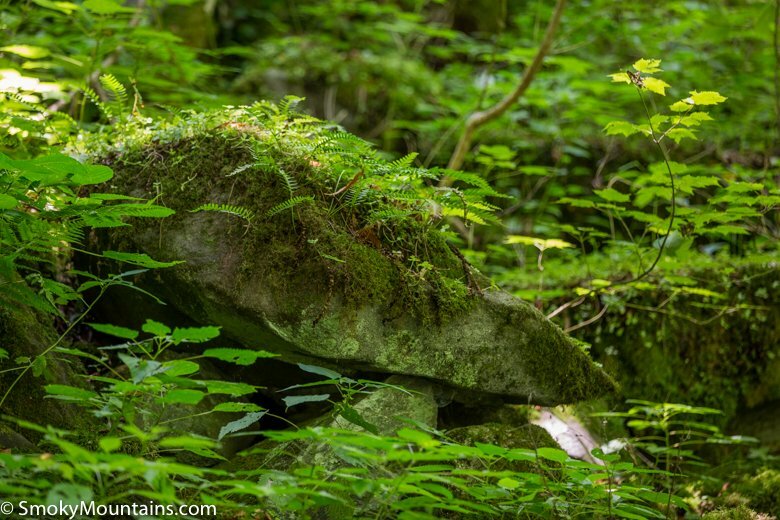 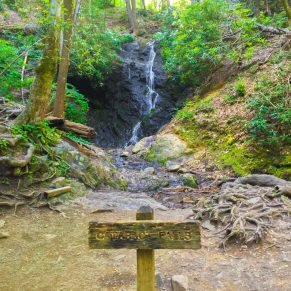 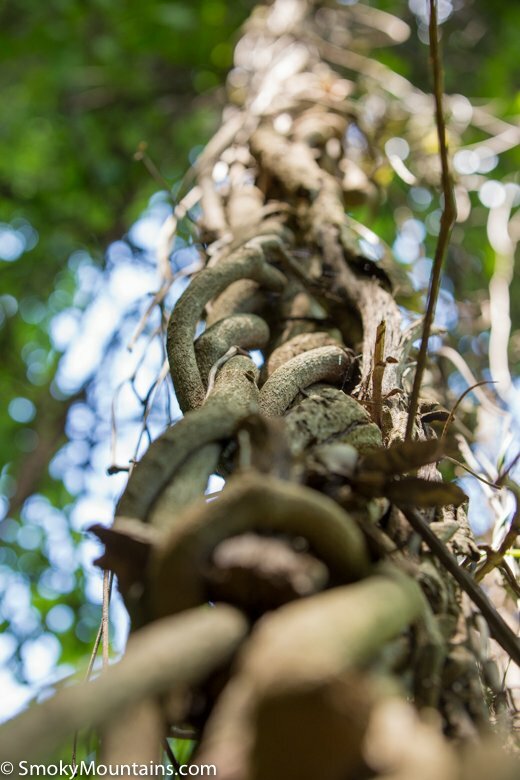 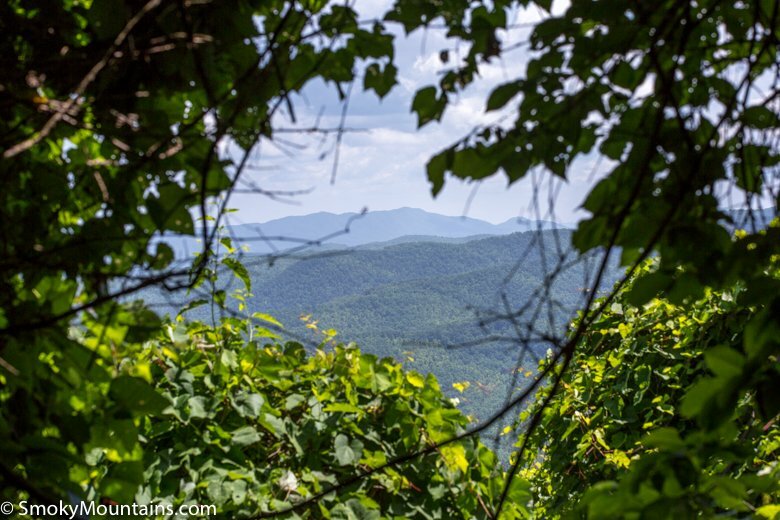 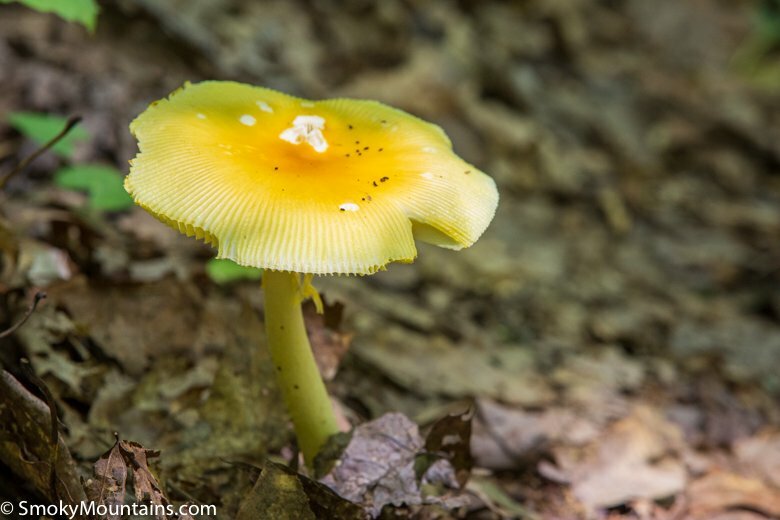 From spring blooms to pioneer history, the Huskey Gap Trail makes for a fascinating little dayhike off Newfound Gap Road within easy striking distance of Gatlinburg. 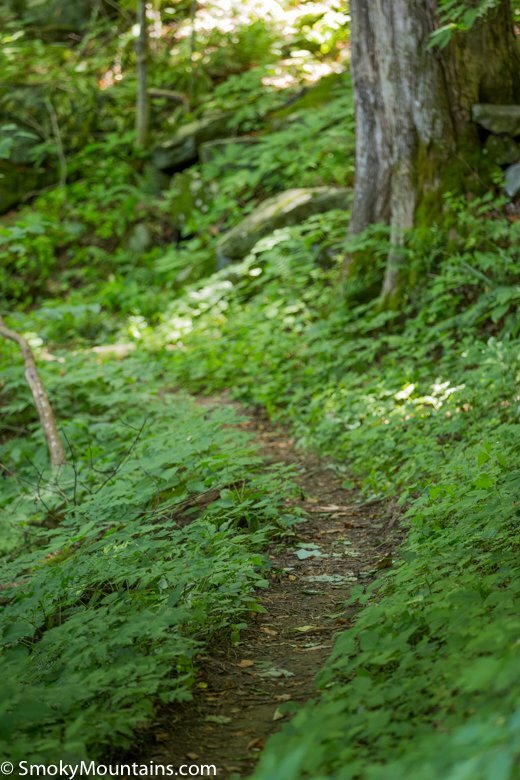 The Huskey Gap Trail makes a moderately challenging climb up from Newfound Gap Road to its namesake pass on Sugarland Mountain. 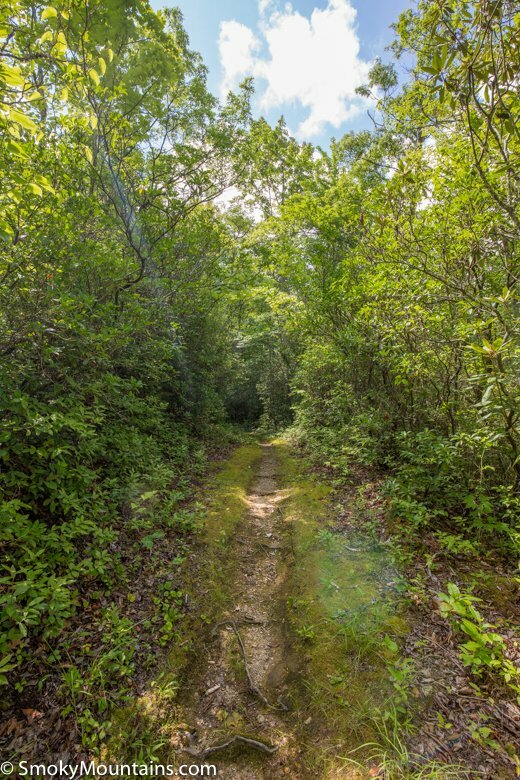 It’s an excellent way to ditch the traffic for a few hours and work in a highland ramble just a stone’s throw or so from the Sugarlands Visitor Center. 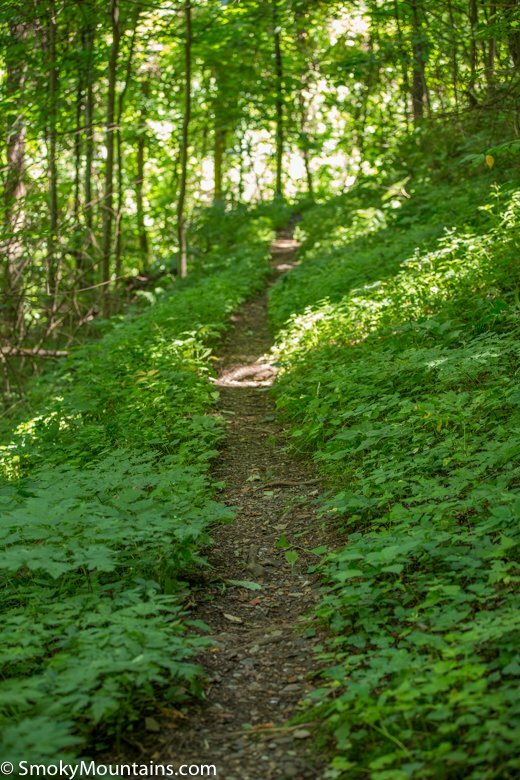 We’ll be spotlighting an out-and-back version of the Huskey Gap Trail that treats Huskey Gap as the turnaround point. 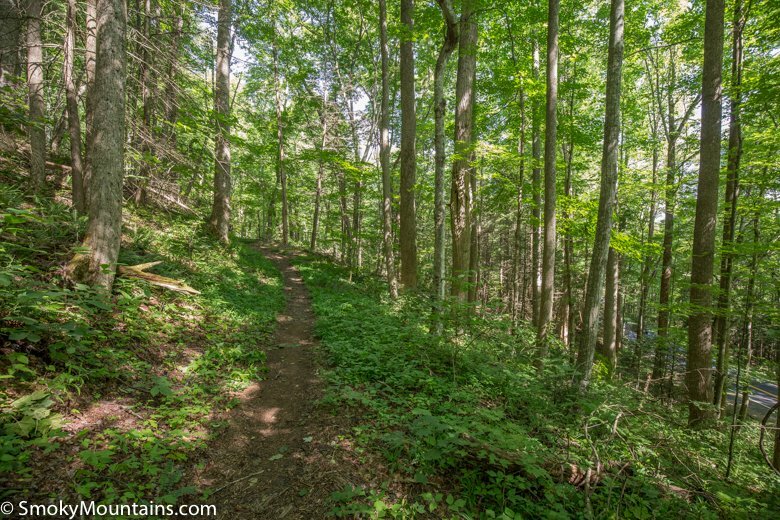 (The Huskey Gap Trail actually continues another couple of miles beyond the pass, dropping downslope to meet up with the Little River Trail.) 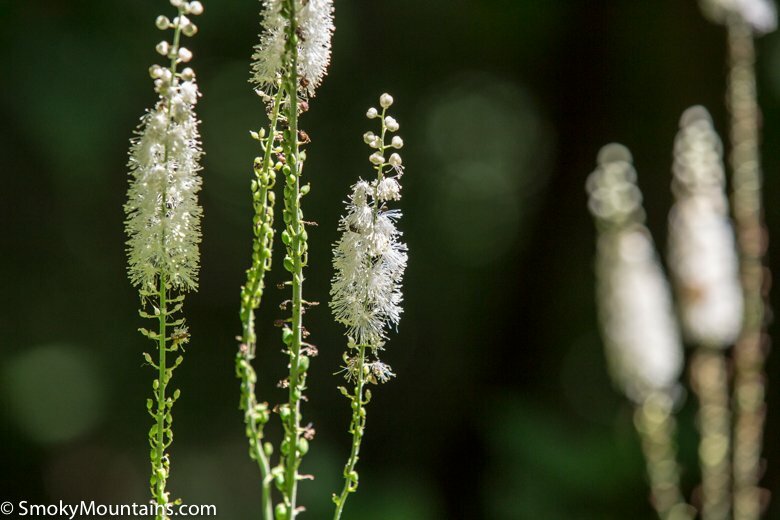 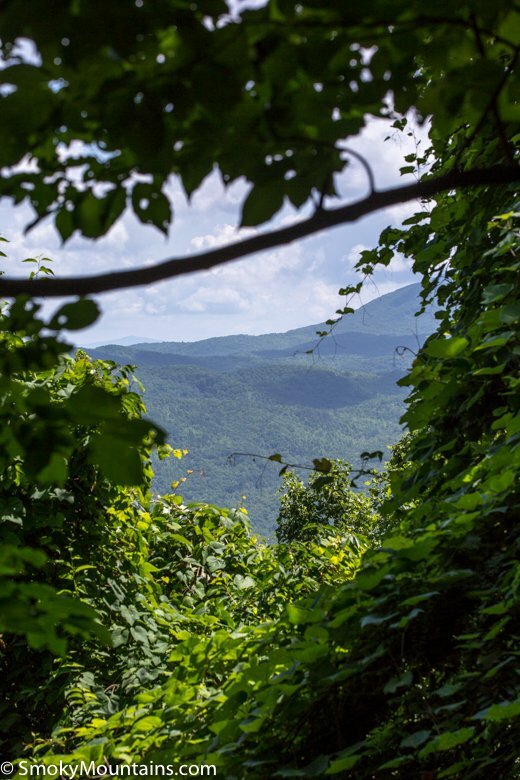 This 4.2-mile round-trip route involves some 1,270 feet of total elevation gain, rewarded with a few mountain views, homestead sites, and (depending on the time of year) plenty of wildflowers. 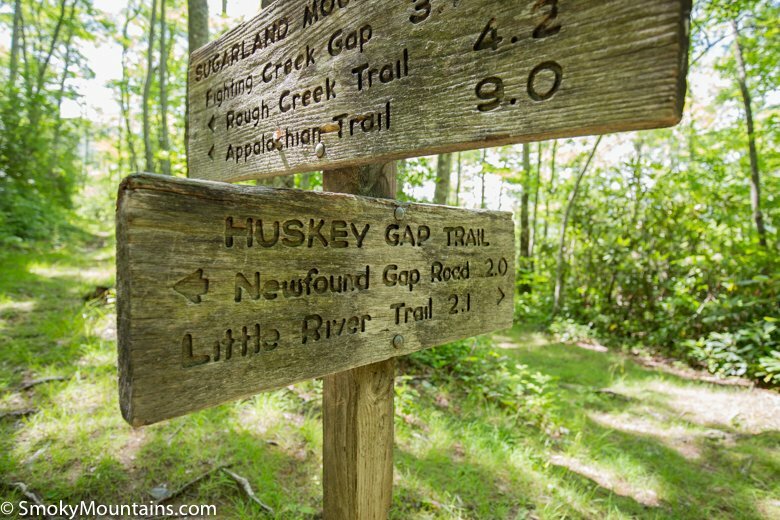 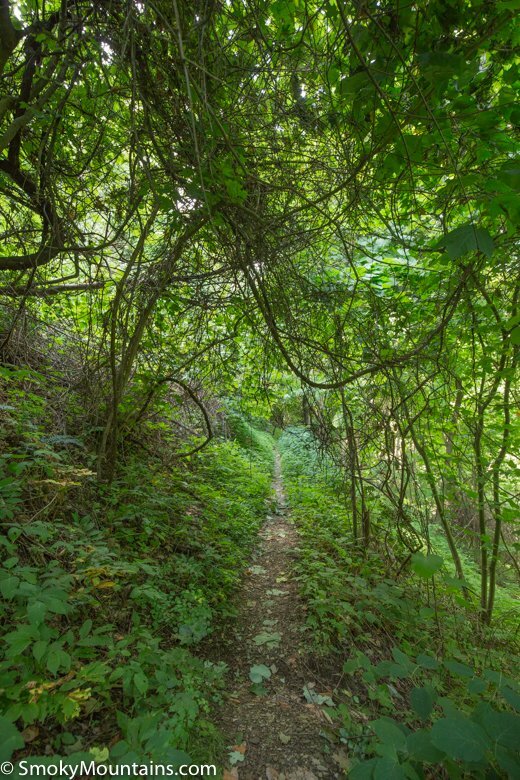 The Huskey Gap Trail begins only about 1.6 miles from Great Smoky Mountains National Park headquarters at the Sugarlands Visitor Center. 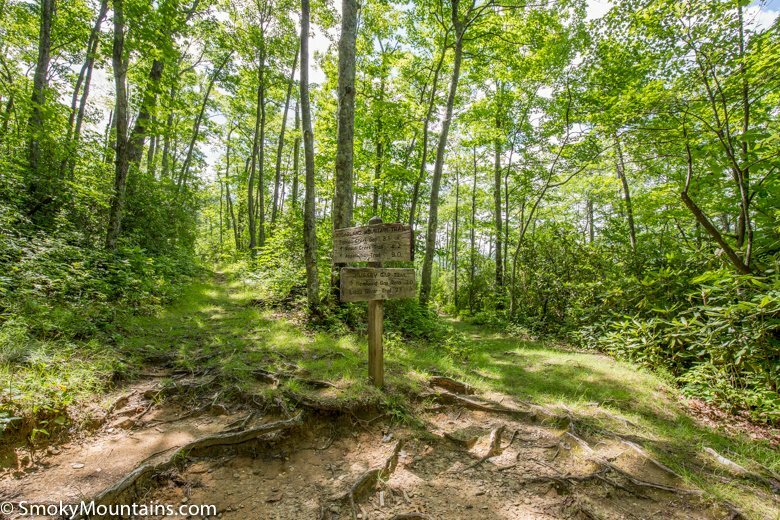 There’s a small parking pullout on the right side of the road (as you’re heading south); the trailhead lies on the other side. 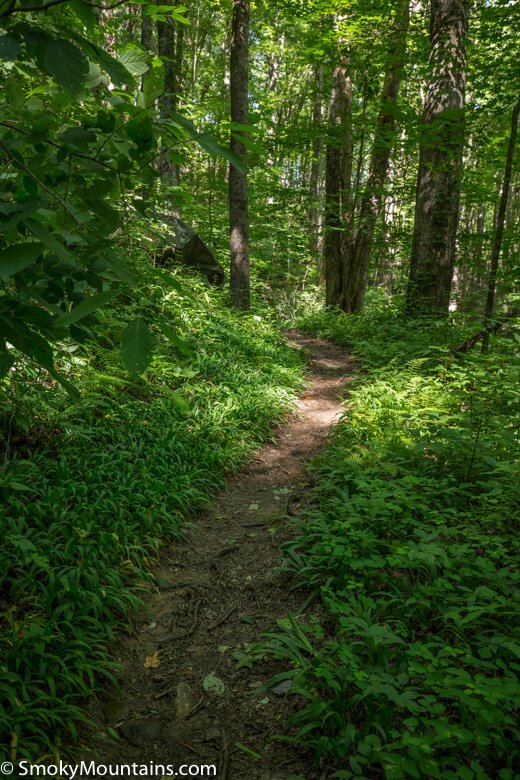 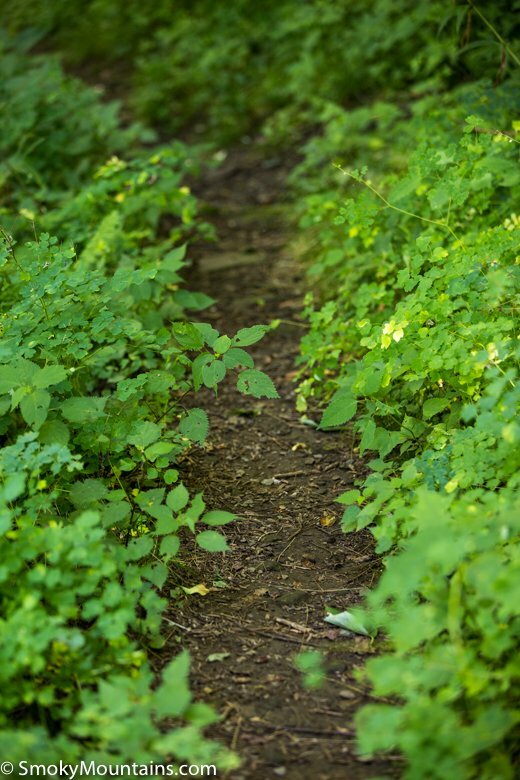 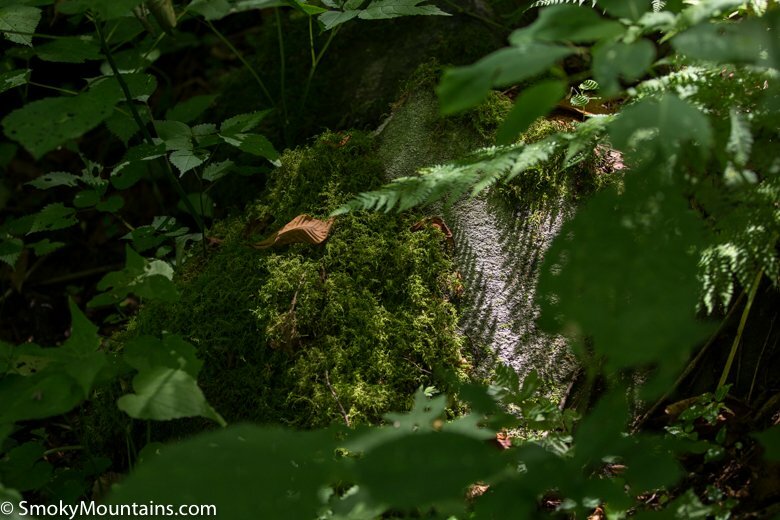 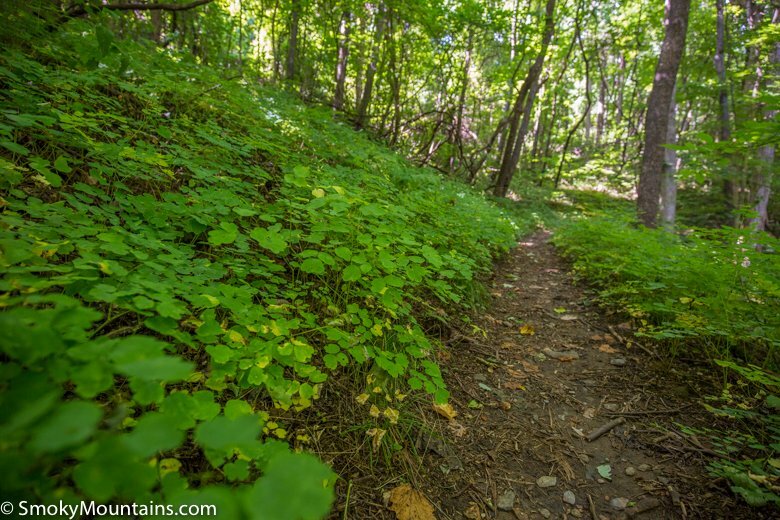 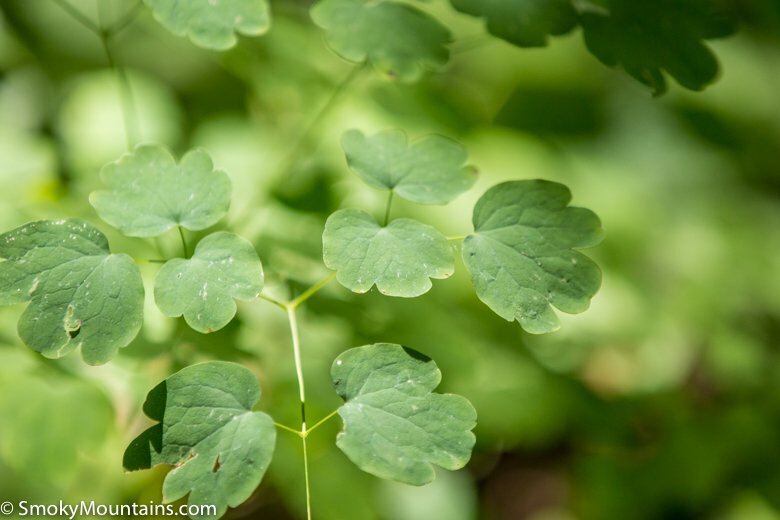 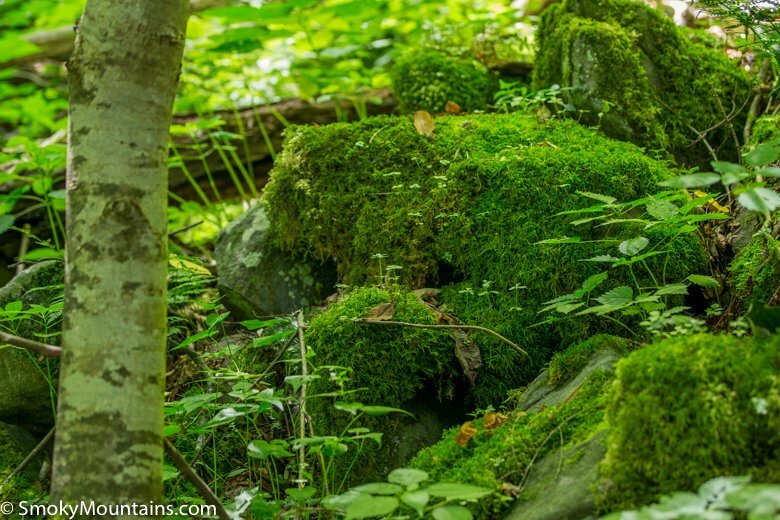 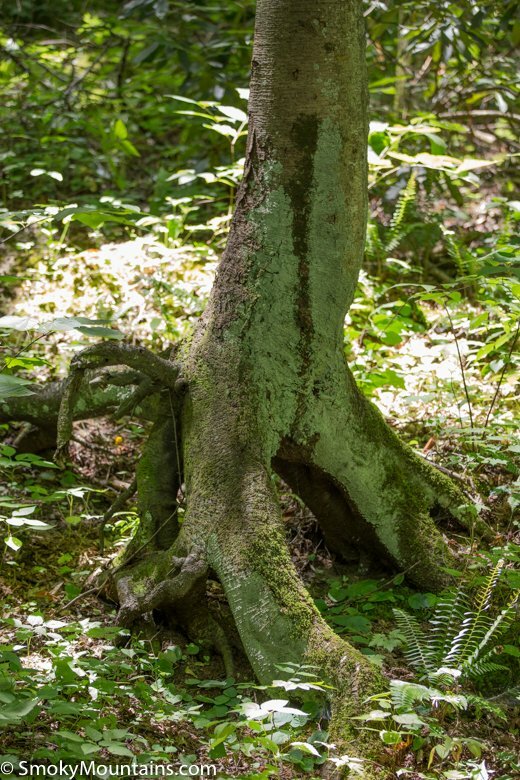 The early stretch of the trail as it ascends through mixed forest features loads of springtime wildflowers: mayapple, trilliums, violets, rue anemone, foamflower, wild ginger, and many more. 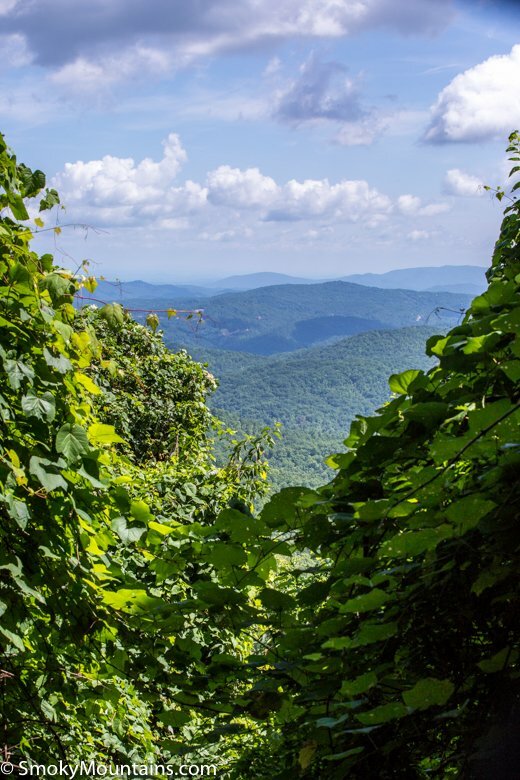 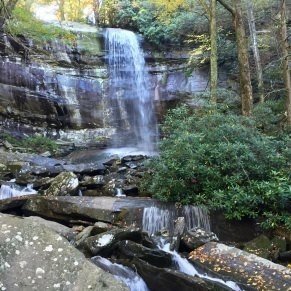 Even if you’re strapped for time and don’t want to commit to hiking to Huskey Gap, it might be worth taking an abbreviated ramble here if you’re driving Newfound Gap Road in April or May. 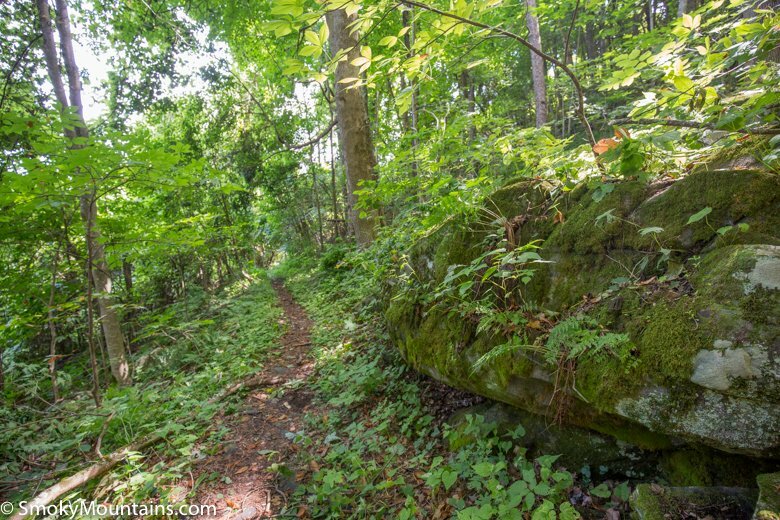 Also in this first leg of the hike, keep an eye downslope to spot an old stone wall—legacy of a former homestead here. 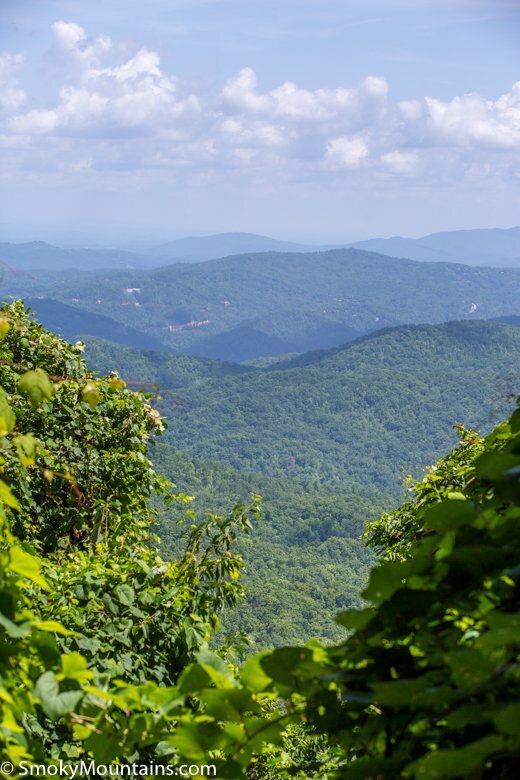 After crossing the Flint Rock Branch about 1.1 miles in, you’ll be able to grab a few views down into the Sugarlands and beyond. 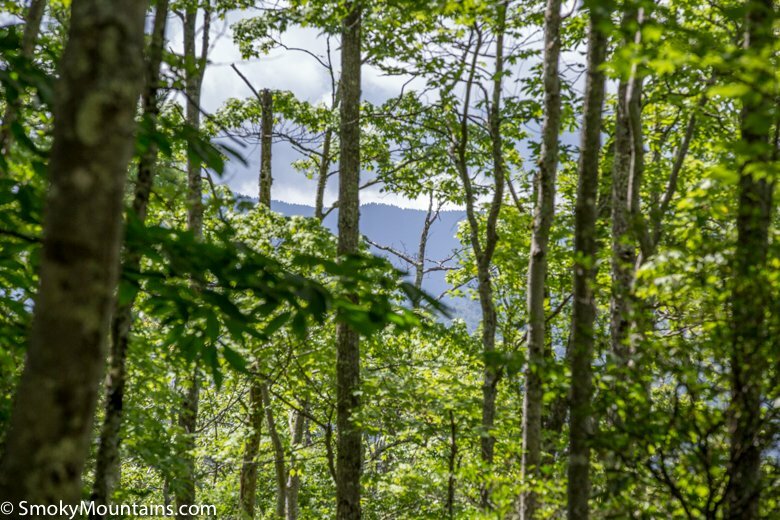 Look for the majestic loom of Mount Le Conte, one of the highest peaks in the Southern Appalachians, to the east. 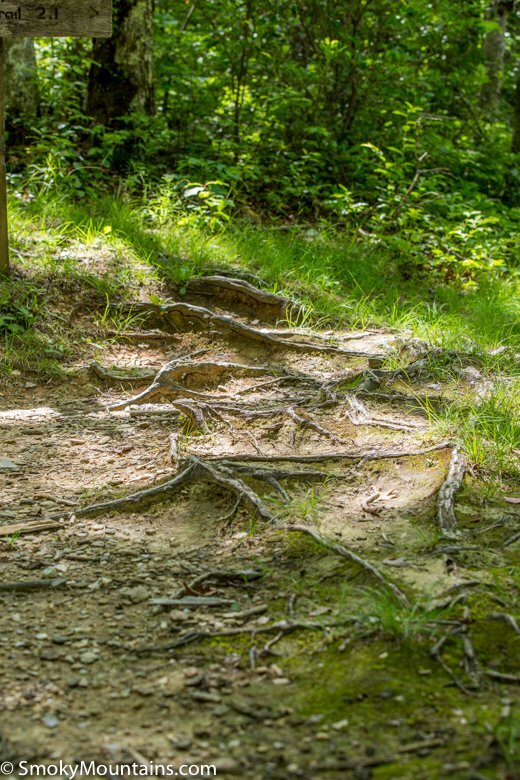 You’ll skirt the sidewalls of the Flint Rock Branch drainage and then turn south to climb a northern footslope of Sugarland Mountain. 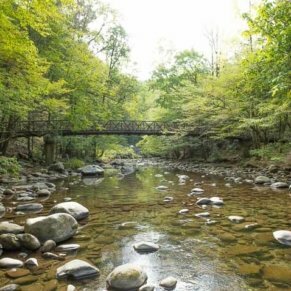 This huge, elongated divide between the Little River and West Prong of the Pigeon River makes one of the defining topographic features in this corner of the Smokies. 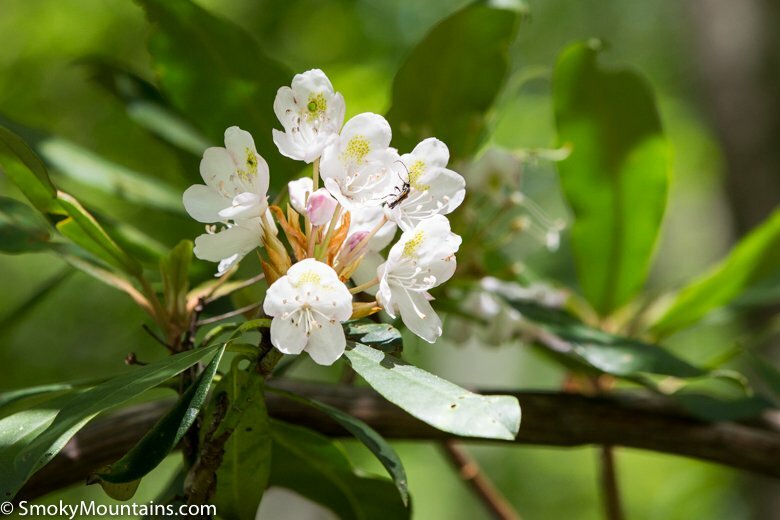 Oaks, maples, hickories, and other hardwoods form a canopy over mountain laurel as you make your way toward Huskey Gap, which you’ll reach about a mile past the Flint Rock Branch crossing. 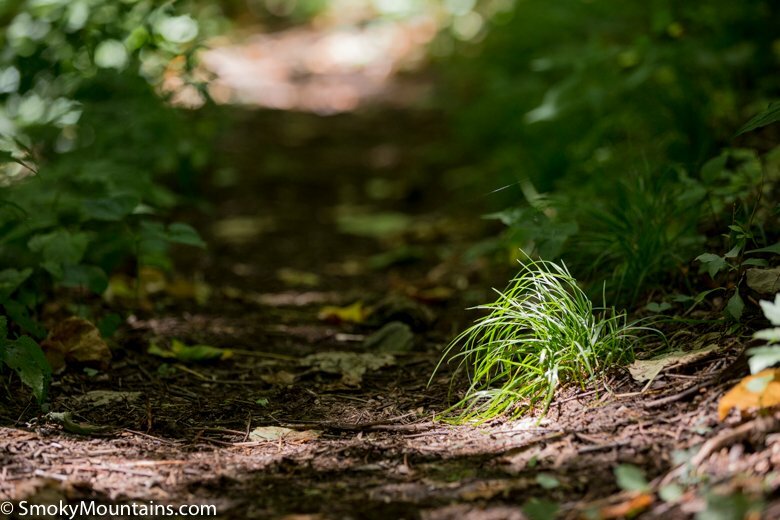 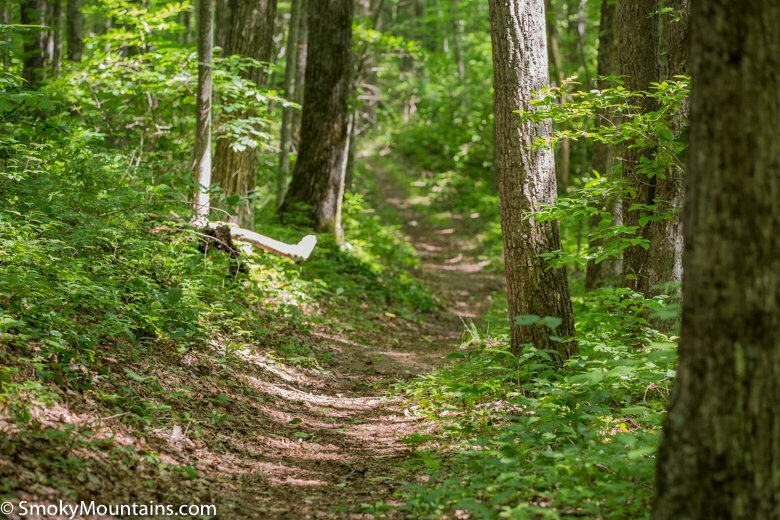 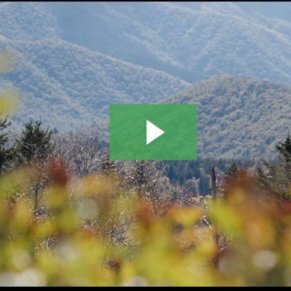 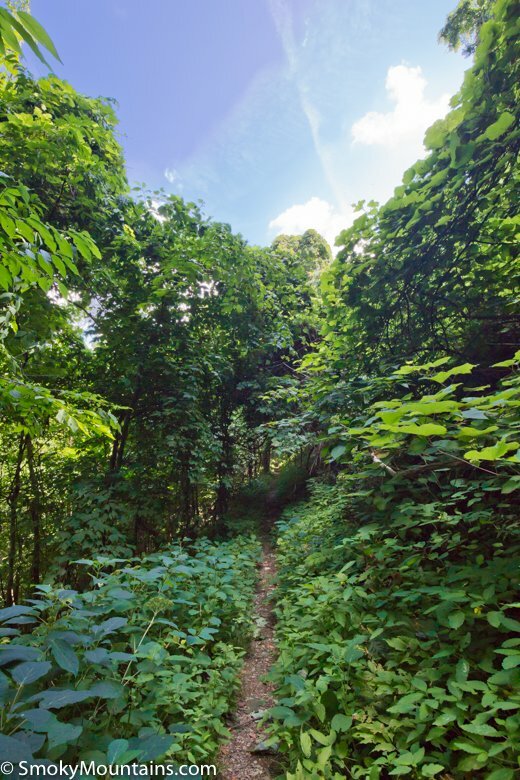 Here you’ll meet the Sugarland Mountain Trail, a 12.1-mile route tracing Sugarland Mountain between Fighting Creek Gap in the north and the Appalachian Trail along the Smoky Mountain backbone to the south. 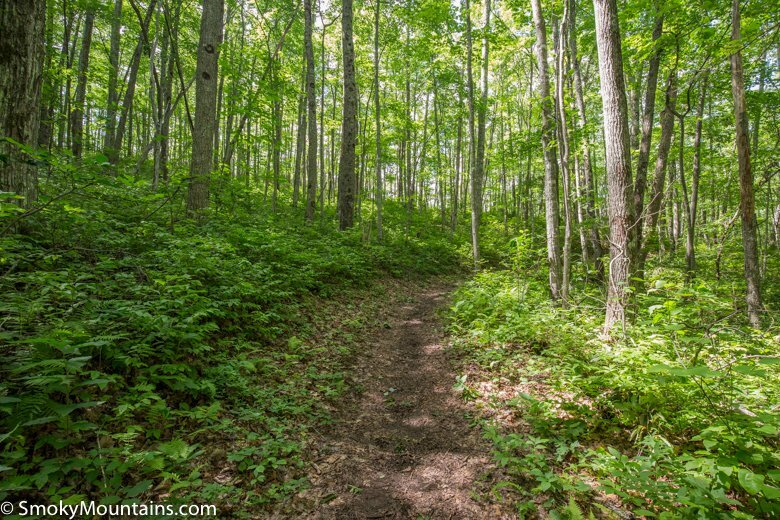 Although now it’s just a quiet mountain sag with a trail intersection, Huskey Gap once harbored a log-hewn schoolhouse. 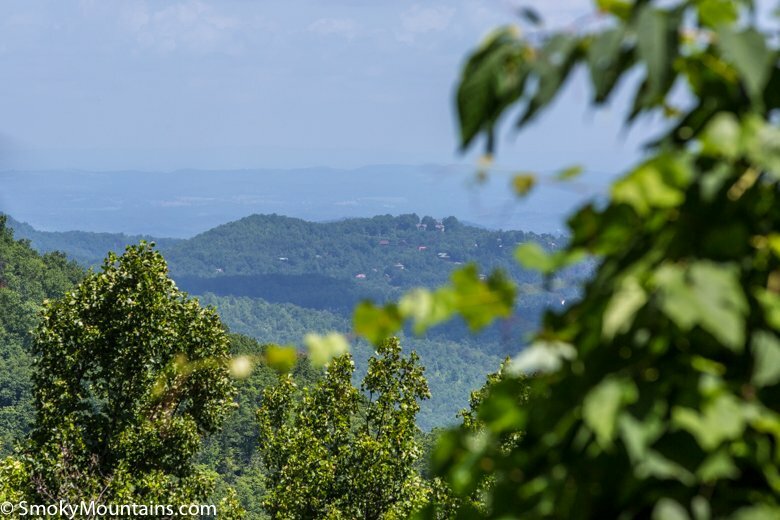 Roads reached the school, built in the early 1890s, from homesteader communities in the Sugarlands and Elkmont. 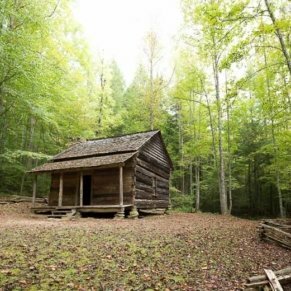 Following its abandonment, the Huskey Gap schoolhouse eventually burned down. 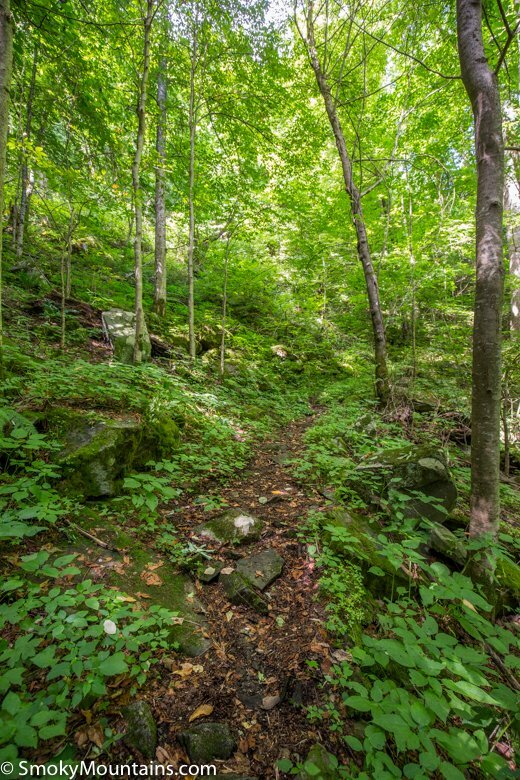 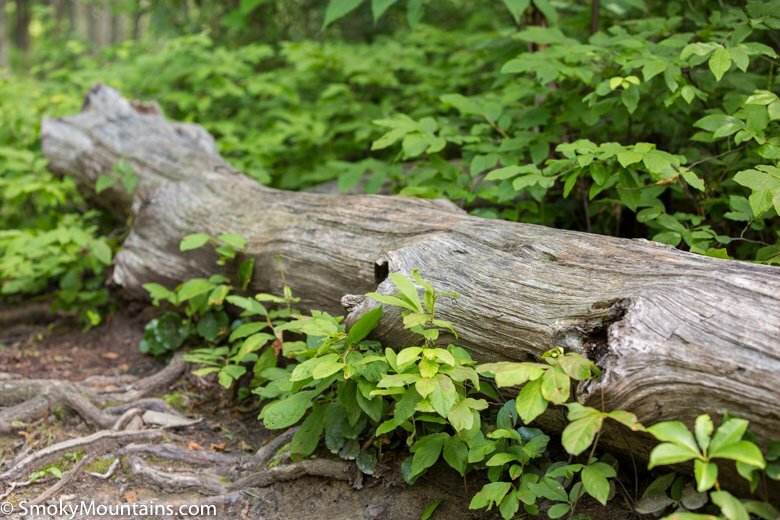 Hike the rest of the Huskey Gap Trail to the Little River Trail and take that to Elkmont. 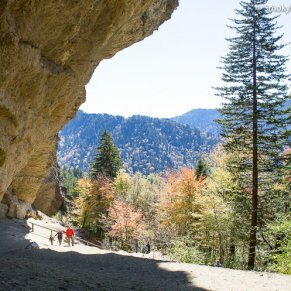 There’s a backcountry campsite (No. 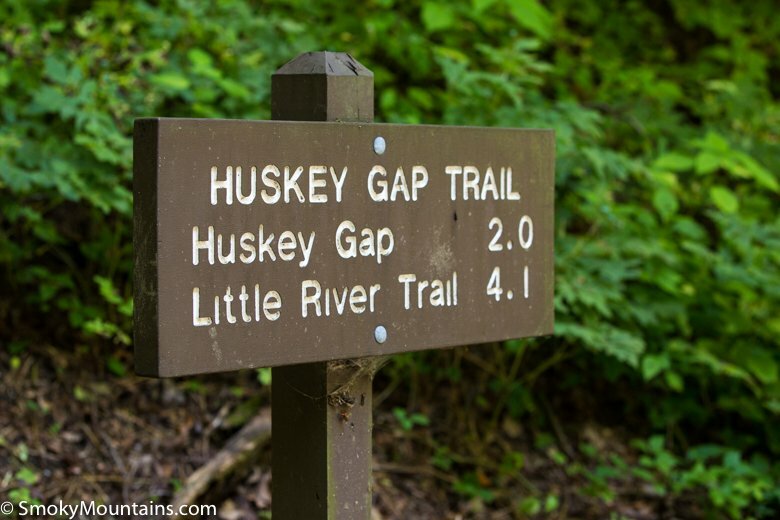 21) near the intersection of the Huskey Gap and Little River trails, giving backpackers the additional option of making this a multiday outing. 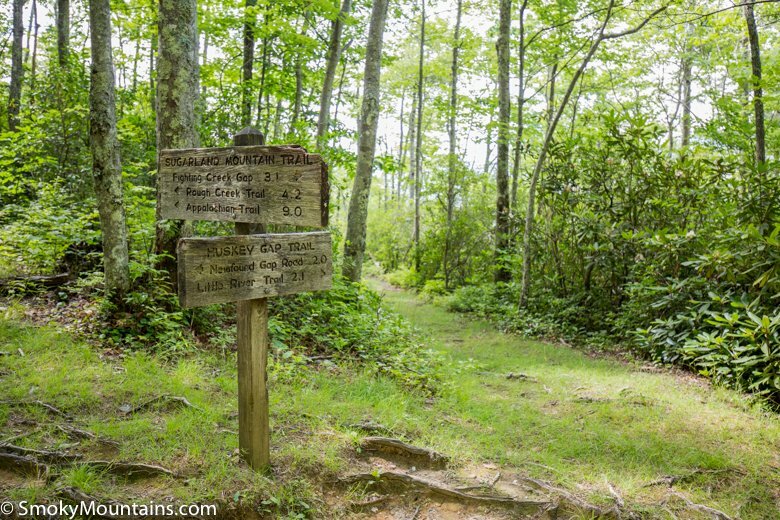 Head south on the Sugarland Mountain Trail for a nine-mile ridge walk to the Clingmans Dome Road.